Darling, Will You Be Mine? 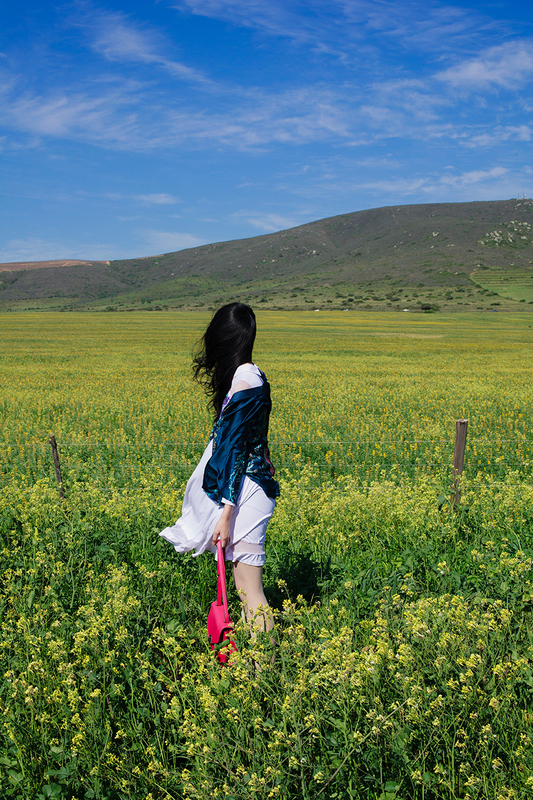 It’s been a while since my last post; a large part of it was due to my disconnectedness from the rest of the world while I traveled South Africa for the past week and change. It’s been a wonderful whirlwind of a trip, but I’m also glad to be back on the internet. Sweet, sweet internet. Also, hey. I’m officially engaged. 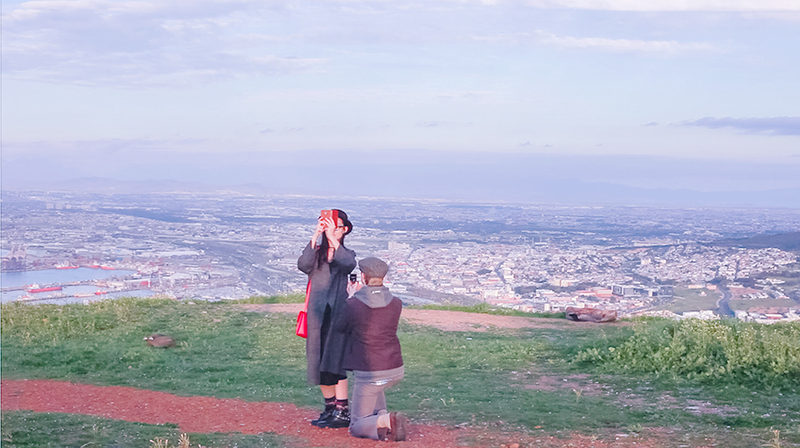 Ottie (and sneaky friends Ant and Cand) took me by complete surprise while I was engrossed in a panoramic shot atop Signal Hill in Cape Town. I may have almost shed a tear but the wintry breeze swept it away. Also, we are a pretty weird couple if the way this proposal went indicates our relationship. Cand took a video as proof! 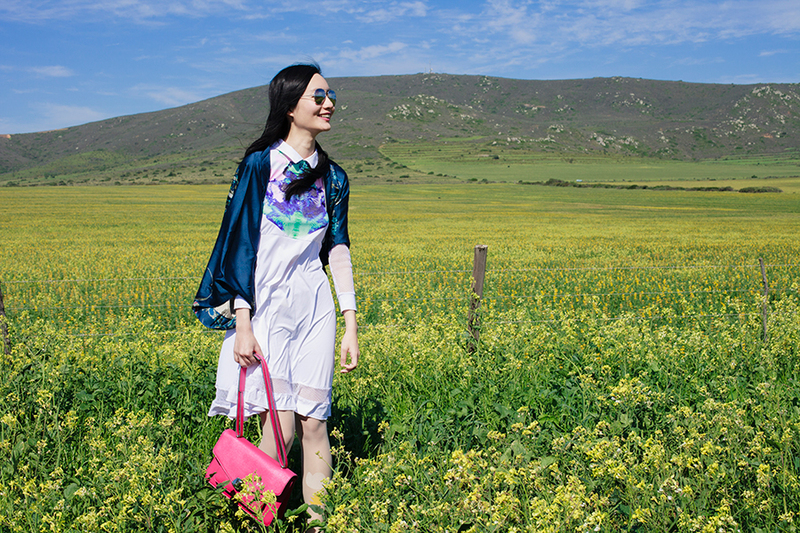 Here’s a few outfit photos from one of those carefree days chasing spring blooms in Darling while I unpack my life back home. I’m wearing items I brought along with me from my newest Dressin collaboration. Also, this rorschach dress came out to play! Don’t get too many chances to wear this beaut except for when I’m out hunting for nature it seems.